Please go back to the beginning of the year. Review your notebook–all the google folders. Think about The Human Body, Biodiversity and Evolution, Motion, and now, Energy (although we have a little more to do before we are finished). Please write your name and period on a piece of lined paper. When you are finished, take a picture of your responses, upload to your DSN and then turn the paper in. 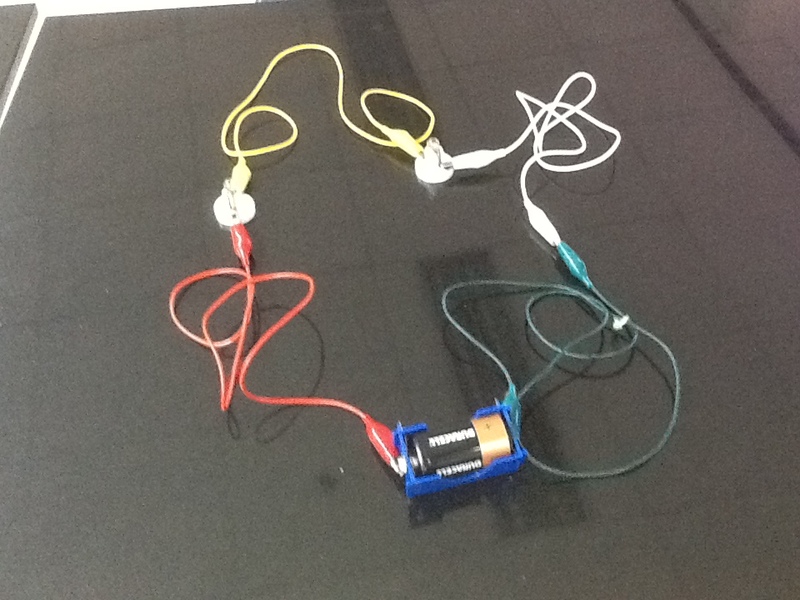 Go on to the first activity below (one battery, one bulb, and one wire). When you finish, show me, and I will direct you to the second activity. You will be assigned partners as you finish the reflections. 3. Do you feel uncertain about any concepts or ideas from this year? What are they? What would you say is confusing about them? 4. If we had the time, what investigation would you like to pursue further? 5. Where do you feel you have made the greatest gains in understanding ideas and concepts? Explain. 6. Where do you feel you have made the greatest gains in developing skills? Explain. 7. List as many things as you can remember that you now know that you didn’t know before you joined our class. You may rank them by interest or importance–say which. 8. What do you feel is left to learn from Science 7? 9. What is your greatest strength in learning science? 10. What is your greatest challenge or barrier? How would you get a bulb to light with just 1 strand of insulated wire, one bulb, and one battery? How many different arrangements are there? What must be true about the battery, bulb, and wire for the bulb to light? Build the following circuits. First, use identical bulbs. Describe the two circuits. Explain how they are the same and how they are different. Record your observations in your notes. Next, use two different kinds of bulbs. Record your observations in your notes. In both cases exactly the same material is used. How can you explain the results?Develop a visual model (you may use words and numerals). Make your visual attractive and neat. What ideas can you suggest about what an electric current is/does? Analogies and Models are important in science. They are used as bridges between the familiar to the new. However, analogies and models can lead to confusion if used unreflectively. Pay attention to the cautions discussed in class. ALWAYS analyze where analogy/model works or fits and where it fails, does not fit, does not work. Trace out the connections between the model/analogy and the target phenomenon or system. Not everything will connect clearly. The non-connections and the “sort of” connections are the points where the analogy / model fails. Make a list of the terms used by people to discuss electricity, electrical phenomena, and electrical systems. Analyze the meanings of these words and how the meanings might be different in different contexts. Of course, you want to learn the meaning of the words in the scientist’s context. 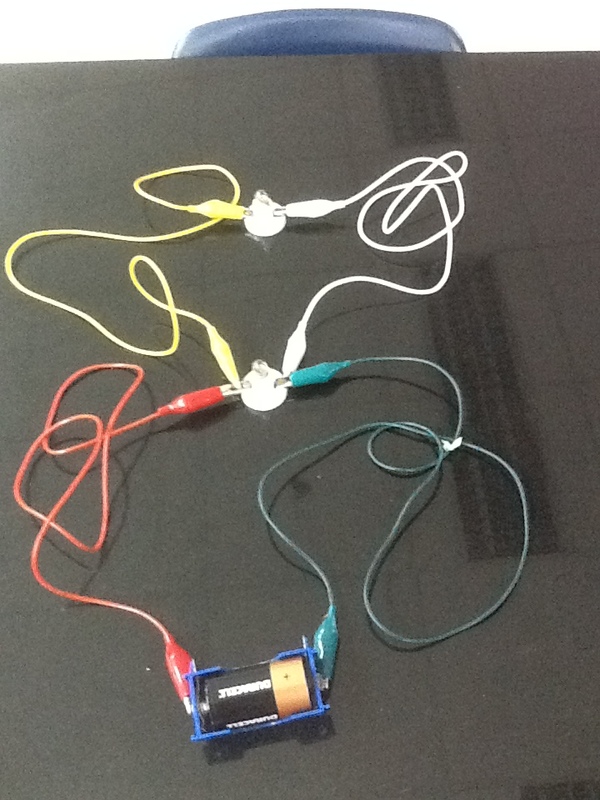 Here are some links to 2 common analogies for simple circuits (direct current). Some references if you are interested. They are much more detailed.